Who doesn’t look forward to summer vacations? 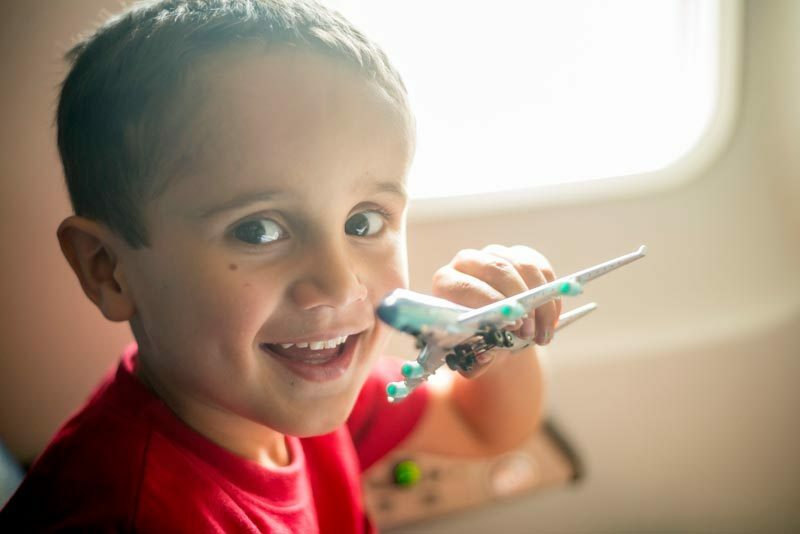 If you’re flying with children who have diabetes, all it takes is a bit of advance planning for a fun, worry-free trip. Here are our top 10 tips for managing diabetes while flying. 1. Allow plenty of time. Depending on how congested the airport is, arrive 2 to 3 hours before your flight. 2. Know the rules. Before traveling, visit www.tsa.gov to review updates and download My TSA Mobile App. 3. Bring medical information (such as prescription labels) regarding your child’s medications and medical devices. Although not required by TSA, the information can speed up the security process. Your child should also wear or carry medical identification, such as a bracelet. 4. Be prepared to treat low blood sugar by keeping fast-acting sugar foods handy. These could be glucose tablets or other high-glycemic foods. Plus, you should carry convenient snacks like nutrition bars. 5. Bring your doctor’s contact information. Liquids (such as water, juice or nutrition drinks) and gels. Despite rules barring liquids and gels from going through security, people with diabetes may take diabetes-related liquids and gels – even in containers larger than 3.4 ounces. 7. Be patient. Anticipate lines and bring books, toys or other amusements to entertain your child. 8. Inform TSA officers of an insulin pump or continuous blood glucose monitor (CGM). You may request your child be screened by pat-down instead of imaging technology. Although TSA policy is to screen passengers without disconnecting pumps, an insulin pump is subject to additional screening. This usually involves having the passenger conduct a self-pat-down of the pump followed by an explosive trace detection sampling of their hands. 9. Be a practical packer. Although TSA allows multiple containers of liquids and gels to treat hypoglycemia, consider taking more convenient forms of carbs like glucose tablets, hard candies or raisins. Never pack insulin in checked baggage where it could be altered by extreme pressure and temperature changes. 10. Rely on TSA Cares, a helpline for travelers with medical conditions. You can call TSA Cares toll free at 855-787-2227 up to 72 hours before traveling to ask about screening policies and what to expect at security checkpoints. The helpline is open 8 a.m. to 11 p.m. Monday through Friday and 9 a.m. to 11 p.m. on weekends and holidays. More than 2,600 TSA employees now have dual roles as Passenger Support Specialists besides their regular checkpoint duties. If you need help, ask for one of these specialists. They have extra training in civil rights for people with disabilities and medical conditions, and providing assistance while maintaining respect and dignity. The American Diabetes Association advocates for the rights of travelers with diabetes and works with TSA to ensure passengers have access to diabetes supplies. On occasion, the ADA receives reports from travelers who undergo overly intrusive screening due to their insulin pumps and CGMs. If you believe your child is treated unfairly, contact 800-DIABETES (342-2383) and ask to speak with a legal advocate. If you feel your child was discriminated against by airline personnel, contact the air carrier or make a complaint with the Department of Transportation’s Aviation Consumer Protection Division by calling 202-366-2220 or visiting airconsumer.ost.dot.gov/DiscrimComplaintscontacts.htm.